PLEASE NOTE: The amount raised is for an ongoing campaign that started in fall of 2017, so the amount listed is not actually what we have in the account. Vietnam Animal Aid and Rescue, an animal rights organization with a rescue shelter and farm sanctuary is slowly moving up to Hanoi over the next 6 months. 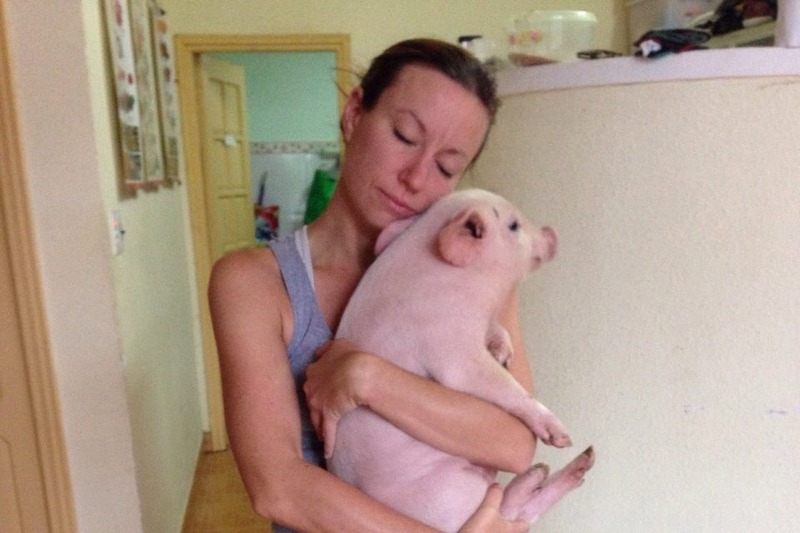 We have been working in Vietnam for 5 years already, are the only vegan animal rescue and farm sanctuary here, and we even had the very first nonprofit vet clinic in Vietnamese history for 2 and half years that we unfortunately had to close due to lack of funding. Now after all these years and hundreds of rescues, we need to close and get homes for most of the 35 animals we still have on the property to care for. The lack of consistent funding, veterinarians, and staff/volunteers which are vital for running a rescue has made it so that there is no way to stay open. it is an extremely difficult part of the world to work in animal rights, and we have done our best but have to end this over the next year in Hoi An. 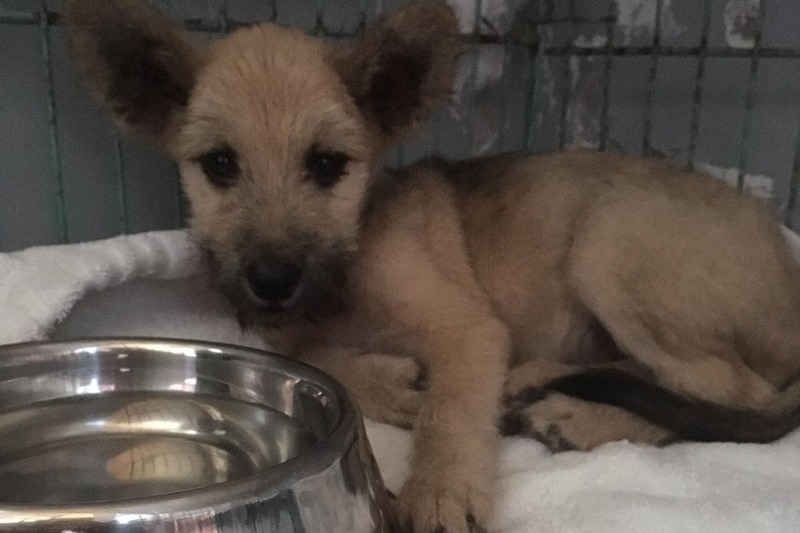 We are working hard to get the animals adopted away from central Vietnam to either Hanoi, Saigon, or internationally to where they can access proper veterinary care that does not exist at all in our region. It is terrifying to deal with even the most simply problems with vets who completely lack the training, skills, and tools to effectively manage cases. We will not let more animals in Hoi An that we have rescued suffer and die at the hands of poorly trained local vets. 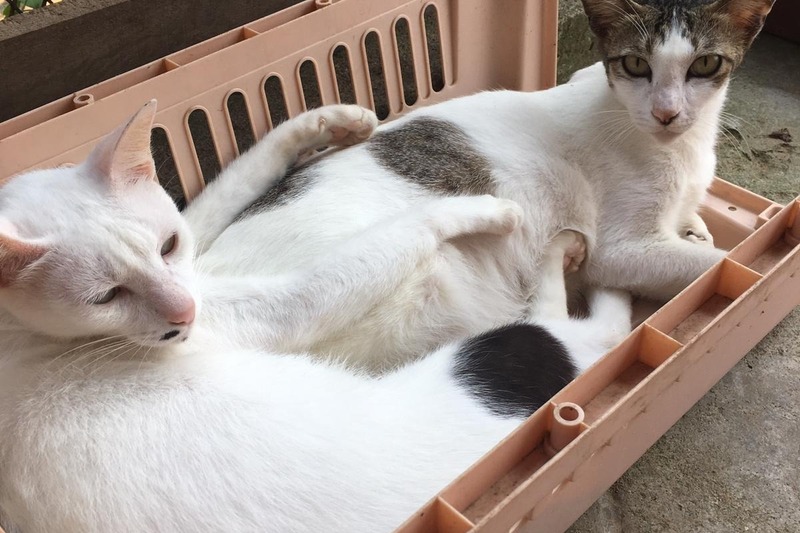 They need out and with your help, we can continue their care in Hoi An for the next months that it will take to get them adopted far away from this horrible situation we are in with these vets. Please consider adopting one of our rescues and sharing our page with organizations and individuals who can help. Nori, the beach puppy we had to take in for treatment, seems to be recovering from whatever she got into. It's a very lucky break for a dog we didn't think would make the night. 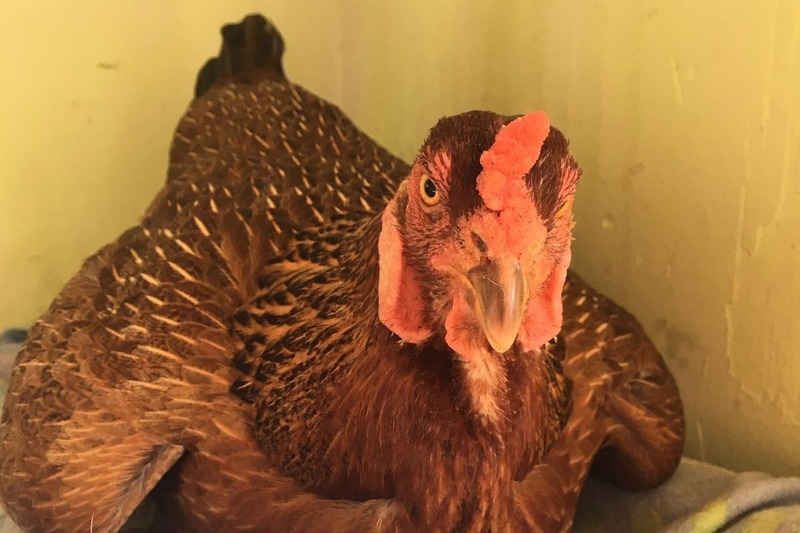 She has perked up and is feeling the effects of the broad spectrum antibiotics and antiprotozoal drugs we put her on in addition to feeding her high quality food and fluids. We may never know what happened to her, but we can treat broadly and hope for the best. Since the dogs roaming at the beach fed such poor diets are usually also eating rubbish around the restaurants, there is no telling what she has gotten into. At the moment we do not think it is an obstruction of any kind which would require surgery I wouldn't trust a local vet to have the training for, so this is very good news. At this point we do not feel like she has any of the common infectious diseases usually covered by vaccines, but given the situation at the beach in which almost no animals are vaccinated or receive any kind of veterinary care, the chance of her contracting something deadly is very high. While the tourists choose to see happy puppies entertaining guests at the beach, running around in freedom, from experience I know those lives are very short and usually ended in horrible ways. The dogs are rarely vaccinated, never sterilized, and Canine Transmissible Venereal Tumors are common among dogs living to the age of sexual maturity. These dogs at the beach are very rarely living past a year, most stolen or dying as puppies. The general care of the animals is limited to the tourists who come by and the staff at restaurants who know nothing of basic animal care. We will continue to care for the dogs at this restaurant, but frankly, none of us really feel like spending any more money with people who just don’t bother at all to take basic care of their pets. After 7 years here, I try not to get mad at this, but when you show people again and again and again nearly daily how to care for an animal and they continue to just stare at you with blank eyes when you tell them animals need water ALL THE TIME and every single day just like humans, I have limits to my patience. Regardless, we will sterilize and vaccinate the dogs they have because we know that those who do not water their animals generally also will not take the initiative to sterilize or vaccinate them. We are barely able to feed our animals at this point, receiving a fraction of our necessary donations to pay our overhead, and adding these animals to our list of those who we care for is very difficult for us when our existing rescues still require so much care. Please donate today to help us work down our $5000 remaining debt to vet bills, salaries, and nonprofit registration fees while keeping up with the animals that we care for daily who need your help! The puppy from the beach we have been treating for skin problems and eye gunk, as well as feed as often as possible due to the owners not properly caring for the diet of their animals, has gotten quite sick and we decided to bring her in to the shelter for treatment and consistent care. 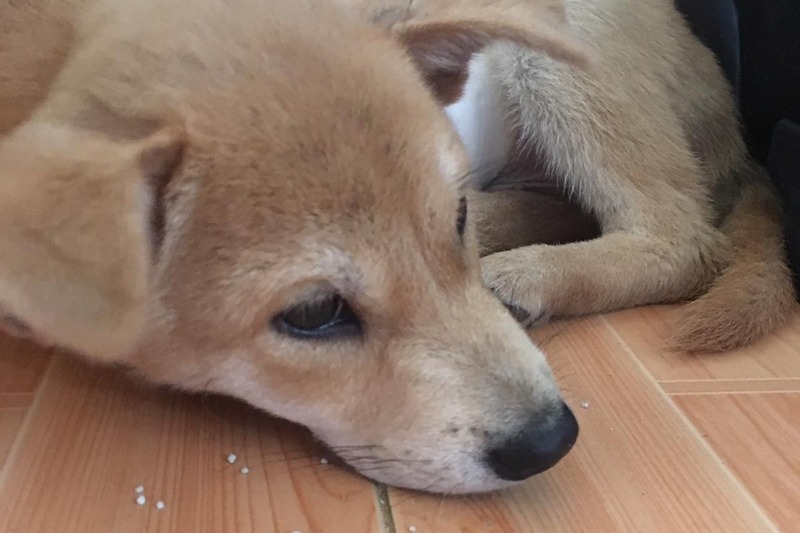 This little girl, Nori, is very lethargic and her owners, as usual, said she was sick for days and did not eat the rice offered. PLEASE STOP THINKING RICE IS DOG FOOD! If there is anything that drives us rescuers insane, it is the nonsense that both cats and dogs can live on a diet of rice…. Malnutrition is one of the biggest problems we face in rescue here and it is incredibly easy to fix with some basic understanding about the difference between human and animal diets. She, along with the other animals at the beach, is not vaccinated as well, so she could have another issue and we are on high alert in her quarantine. This hopefully will have a happy ending, but malnutrition and neglect even by the most caring owners take their toll even in the short term. Basic pet care, even when we gave them care instruction pamphlets in Vietnamese, seems elusive and while we are happy to be able to help this one dog who we try to keep tabs on, it’s not possible to do this large scale in any city. The best thing for An Bang Beach is a day when there are NO puppies at restaurants because the animals will be sterilized. The constant production of more and more cats and dogs whose owners cannot provide basic care is the source of suffering.Yet another reminder why sterilization is not something we can ignore and must work harder to make sure that ALL animals do not suffer this fate. We simply cannot continue to bring in more animals when we are now over $5000 in debt and are struggling every single day to pay the food bills and basic overhead for the shelter. We started 6 years ago as a rescue believing that we would not ever suffer the lack of resources that we are dealing with now and have been for years anf that rescue was always going to be our daily task, but thats not a possibility here now. The lack of competent vets regionally has been crippling for our rescue activities and providing consistent care for our rescues. We need YOUR help now! Please donate today to help us catch up and move on with the huge expenses that are not being covered. The need is overwhelming and the resources so limited. It was a wild week at the shelter and we are happy to have come out with a clearer sense of where we must go now. The weekend began with a rescue of a wild bird, a black shouldered kite to be exact. It was a juvenile that was likely electrocuted based on the appearance of its feathers and his behavior. We tried to get him strong enough for transport to a wildlife organization, but he did not survive his first 24 hours unfortunately. In that time, we were contacting wildlife vets and raptor specialists around the world as none of the Vietnamese rescues answered any of our calls or emails. Apparently wildlife aren’t allowed to be injured after 3pm on a Friday afternoon if you want anyone to man the phones and computers. The lack of resources for wildlife in Vietnam and the general lack of vets makes work like this very difficult. As Mistress Lola comes into heat once a month, we all must prepare ourselves for the madness and inevitable destruction that the horniest pig alive will bring to all she touches. This time around, the back of the barn took probably its final hit from her as she busted herself out of her stall. In this process, or from encountering her “brother” Julian who despises here, particularly when she is in heat, she managed to make a large wound on her side. Luckily for Lola she is a pig with very thick skin. Ideally, we would have called a vet, but not in this part of Vietnam where vet care is awful for cats and dogs, but deplorable for “livestock” such as pigs who suffer horrible abuse at the hands of not only owners and slaughterhouse, but the vets who should be protecting them. We were able to get her into the cat enclosure for isolation and wound dressing, so she will be ok as long as we are able to constantly flush and dress her wound- not as easy as you think for a pig in heat who thinks nothing of climbing/ breaking down all walls in her path. Lola is the Hulk. The lesson of all of this was that there is no way we can go on without vets. I have known that the whole time, but this was a not so friendly stressful reminder. 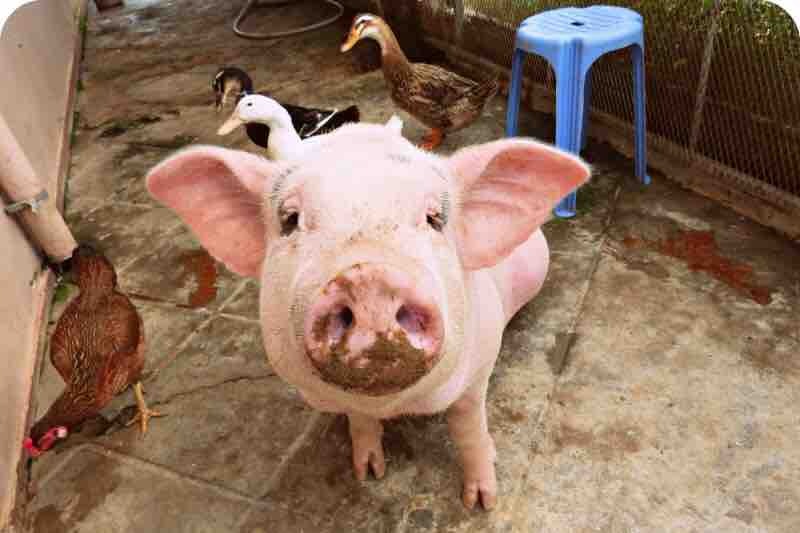 As a result of epidemic diseases for pigs and chickens currently plaguing our region, we are unable to move our farm sanctuary animals. This means that we are stuck for the moment and they cannot get out of the country as we had planned due to export limitations from Vietnam now. I am now determined to get an international vet clinic running immediately in order to make sure we never have to worry about our animals again. This is a hard thing for me to say while having not only 3 years of the worst experience of my life running the clinic we had before, but also coming from someone with under $100 in our account. Some things are more important than sanity and money, however, and one of those things weighs 400lbs and has bad gas but his pig mama loves him anyway. I obviously cannot say at the moment how I will do this because I am finally old enough to know when to admit I am totally clueless and need serious help, but I will stop at nothing to get an international clinic fully staffed with qualified vets plus vets in training, and kitted out with all the necessary veterinary supplies in Da Nang if it’s the last thing I do. Please help us to keep going with the shelter as long as we can as we work on getting more animals adopted and moved out. The overhead of the shelter is not being covered and we simply cannot keep wondering where the next meal is going to come from. The shift in the organization is going to be very difficult and time consuming and keeping up the fundraising for the shelter is an even bigger task. Thanks so much for your continued support of our work! Please donate today, and if you are American and would like a tax receipt, please email or make a note on gofundme. Thanks! Thanks to some very kind donors including the amazing organization, A Well-Fed World, which works on both animal protection AND hunger relief (plant-based!!!). We are so grateful for the support and are happy to see the debt being slowly erased. We are only $5000 away from our goal which seems like a mad amount compared to what we make, but it is not impossible to reach. We are happy to see some animals get to their new homes this month and will be keep working on that while also developing the new program for veterinary capacity building. We are still working on getting new staff to start before May 1 to replace our current manager who needs to go back to the UK, so please spread the word to anyone able to commit a minimum of 6 months to life in a Vietnamese shelter. Since we have the 501(c)(3) now, any Americans who have donated over the past 2 years are eligible for a tax receipt which I am making up over the next 2 weeks. Because I do not always know what country donations are coming from based on the fact that we only get email addresses listed, if you need a tax receipt, I need YOU to message us. Thanks for all your support! Nothing will stop our work in Vietnam even as the shelter itself must close as long as we lack internationally trained vets in our region. The big picture solutions are not out of reach with the support of our donors!